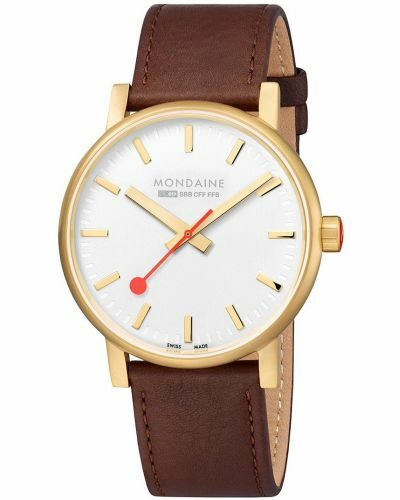 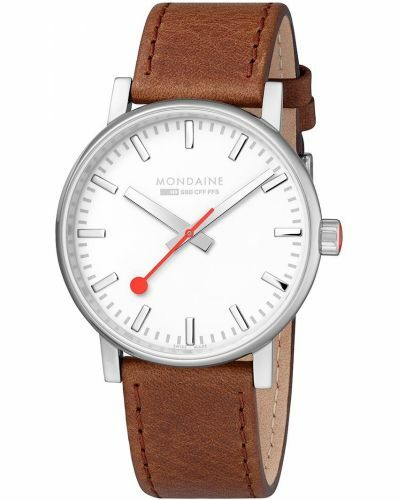 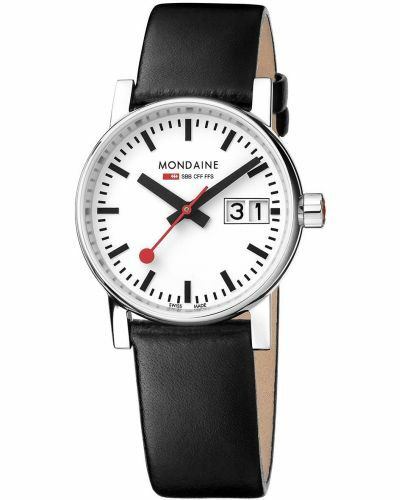 Brought to you by Mondaine, the creators of the much revered Swiss railway clock, comes this striking mens Evo2 MSE.35110.SM watch. 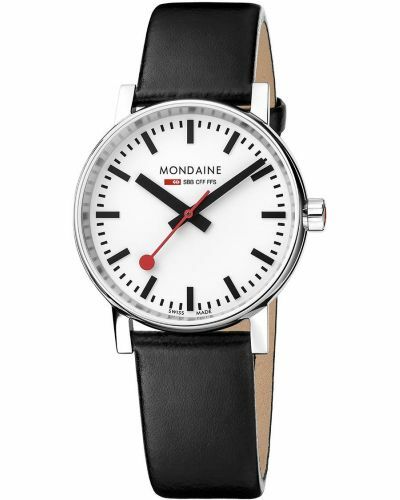 With its 35mm polished stainless steel case and bezel, this watch is the epitome of the Swiss Railway watches. Housed beneath scratch resistant Sapphire glass lies the crisp white dial, complete with black hour markers, stick hands and the traditional red lollipop second hand. 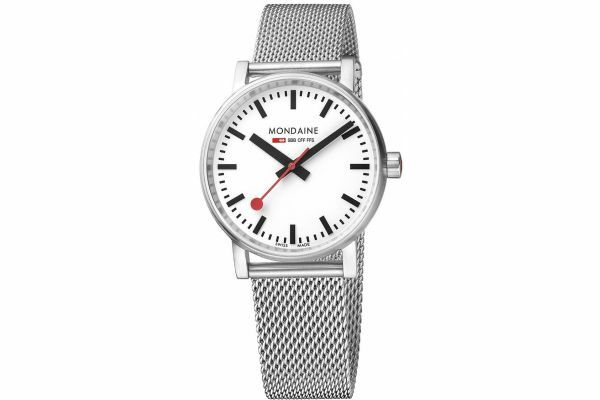 Set upon a 18mm milanese style mesh strap and secured by a fold over clasp with safety; this watch is classic yet arresting in its aesthetic. 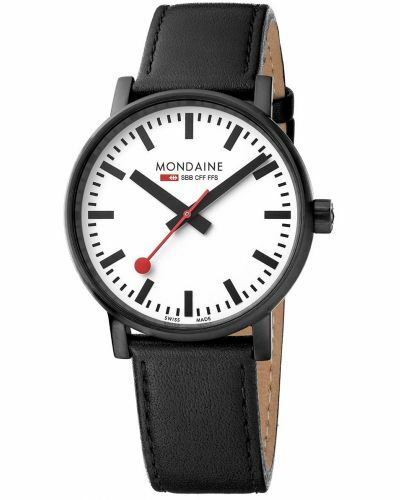 Powered by Swiss Quartz movement and water resistant up to 30 meters, the Evo2 Big comes complete with a two year guarantee and official Mondaine packaging. 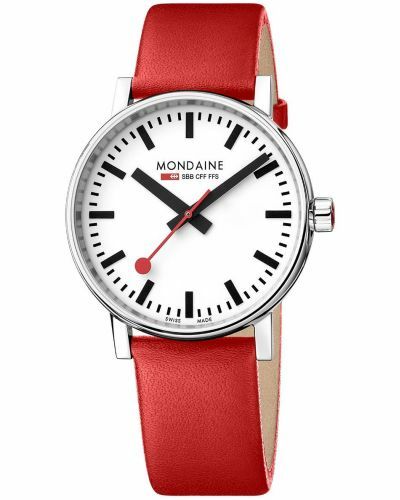 For us to size your new Mondaine Evo2 watch as accurately as possible, please take a look at our downloadable Watch Sizing Guide.